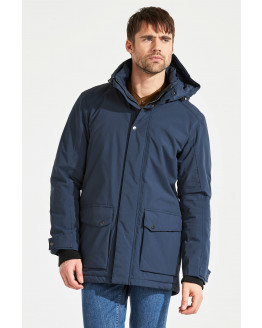 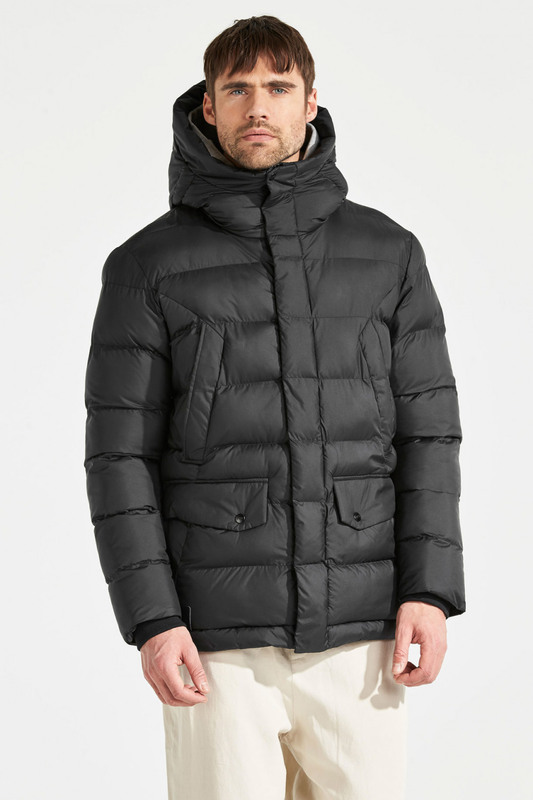 Urban is a warm puffer jacket in lightweight material from Didriksons Originals with a high, comfortable collar and fixed hood to protect against cold winds. 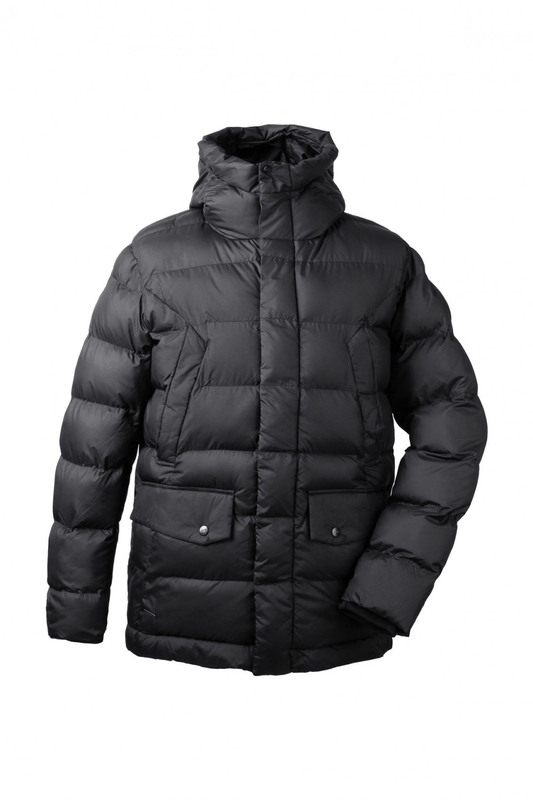 The jacket has a matte finish and an outer fabric of recycled polyester. 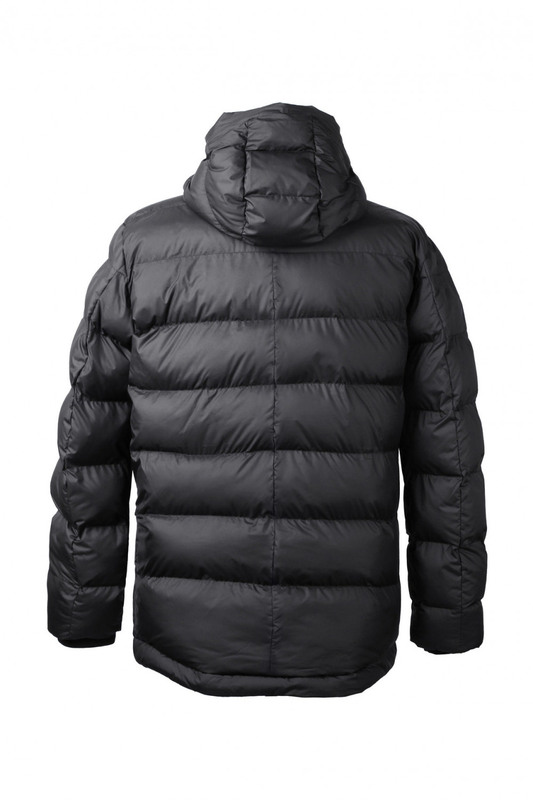 The jacket has two pockets at the bottom and a full-length front zip with protective cover. 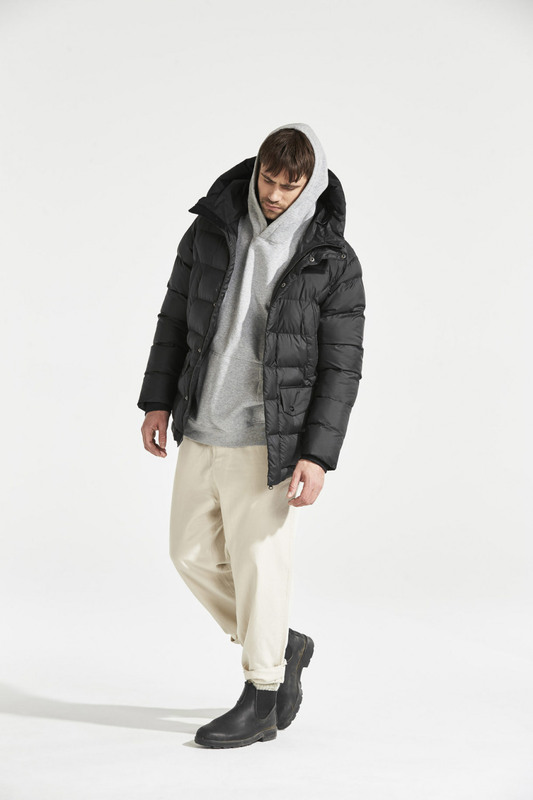 Urban has a smart reflector solution, with a reflector on the inside of the cuffs, which can be made visible when necessary by folding the cuffs up. 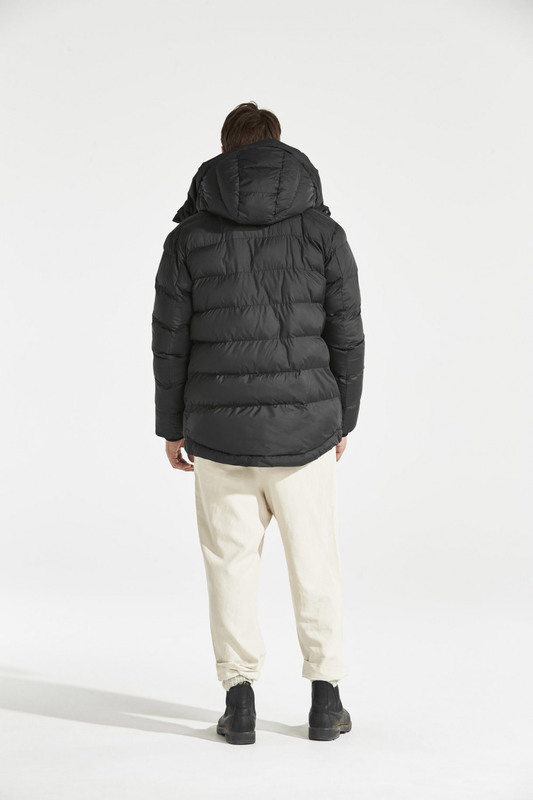 The hem can be adjusted as required. 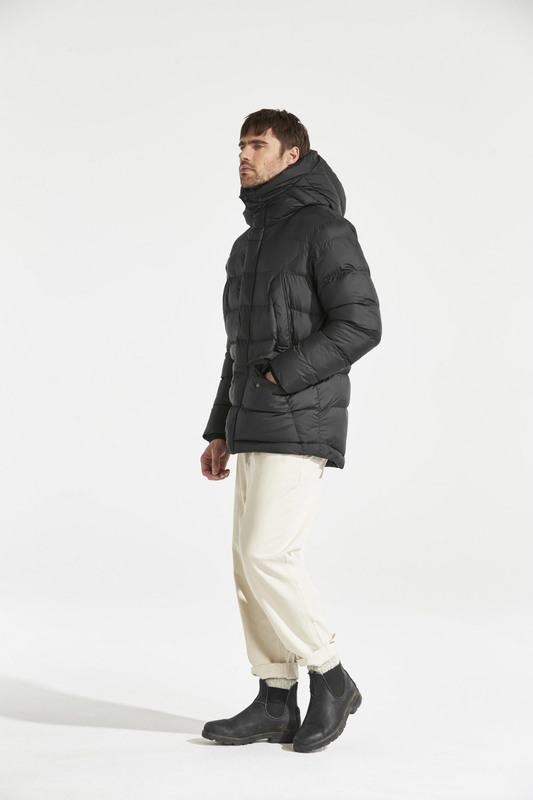 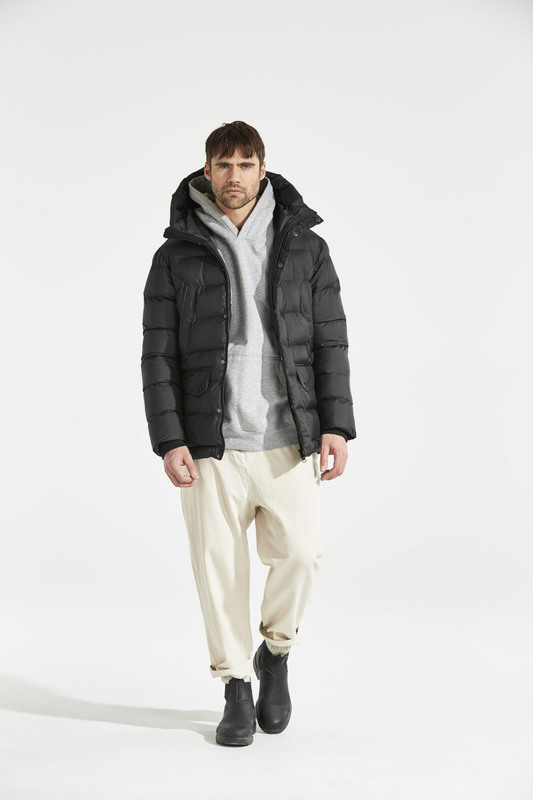 The jacket has a water-repellent, PVC-free outer layer and “High Loft” insulation that provides a good volume and keeps you warm during cold winter days.